I’ve recently designed a flyer for an exciting new opera and cabaret night. 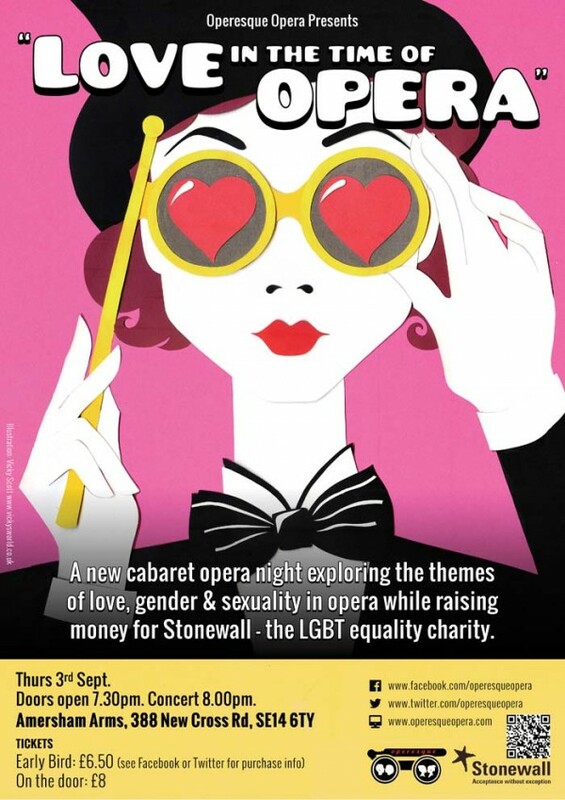 They are called Operesque and they are running their nights in London (in aid of Stonewall). 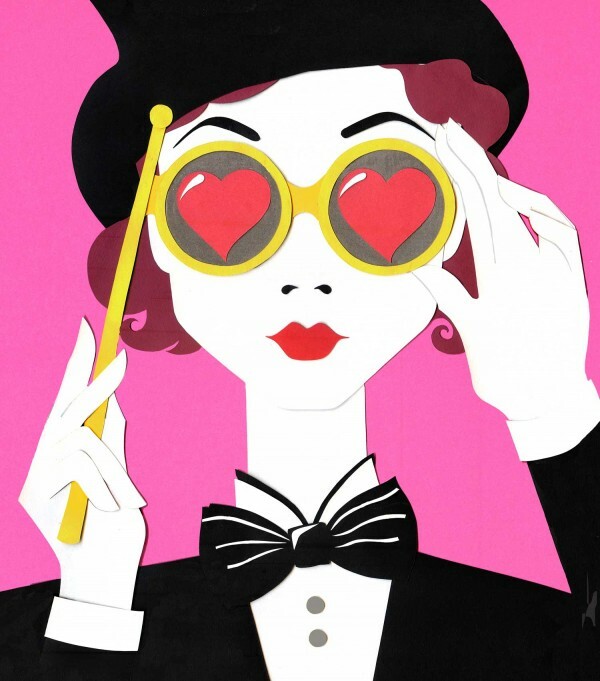 I wanted to reflect the charity and the message of love, gender and sexuality but without being really obvious, so a Greta Garbo character in a tux seemed perfect. The night is being held on 3rd September in New Cross’s Amersham Arms.